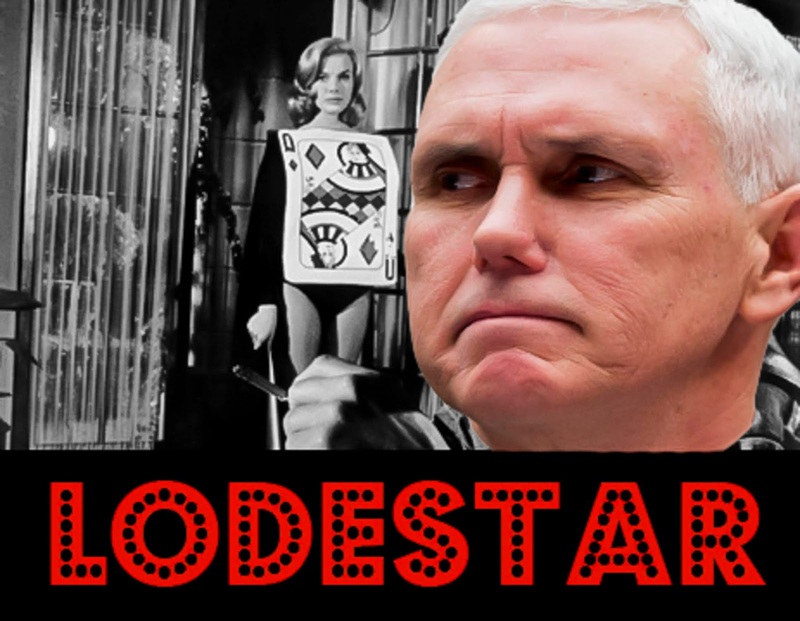 Mike Pence is a 2 to 3 betting choice to be the anonymous source for the New York Times op-ed. He's getting a lot of early action. 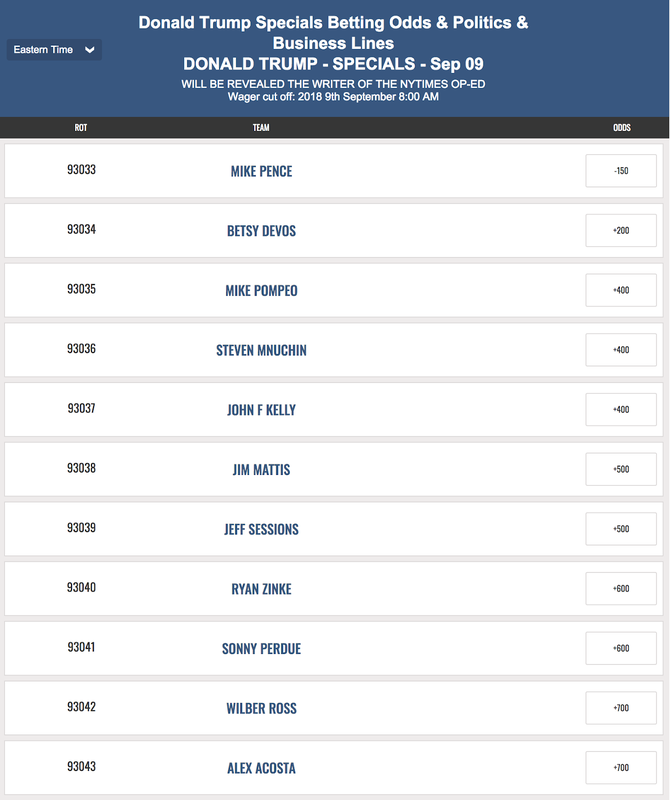 Here is the rest of the field according to one of the bookie sites. Don't think Betsy DeVos can spell or articulate that well. I think that I will go with Mnuchin as my sleeper pick, darkhorse. Then they can blame it on the you know who. Jimmy Kimmel had a bit on this showing Pence using the term Lodestar several times in a variety of speeches, My money is on him! Read the article in "Slate" by William Saletan..he leans toward John Huntsman.